While New Yorkers were dealing with the large soda kerfuffle, something kooky was happening in America: Water is now the most popular drink in the country. For more than two decades, soda was the No. 1 drink in the U.S. with consumption peaking in 1998 at 54 gallons a year, according industry tracker Beverage Digest. Americans drank just 42 gallons a year of water at the time. But over the years, as soda increasingly came under fire for fueling the nation's rising obesity rates, water quietly rose to knock it off the top spot. The good news? Drinking water instead of soda is great for us — for our teeth, bones and overall health. The bad news? Americans are into water now because single-serve bottled water has become widely available. 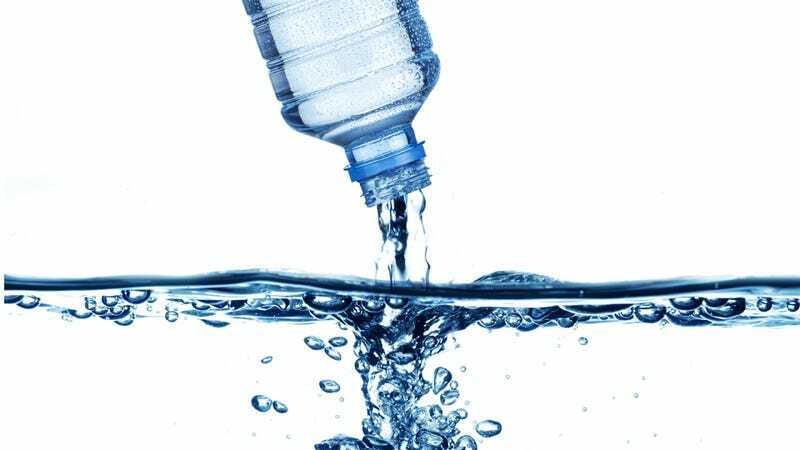 The Mother Nature Network points out that bottled water produces 1.5 million tons of plastic waste per year. And the price of bottled water makes no sense — you pay 5 cents an ounce or more for (Pepsi-owned) Aquafina or (Coke-owned) Dasani — tap water inside of plastic — while "most municipal water costs less than 1 cent per gallon." It's why Coca-Cola, which holds 13 percent of the bottled water market compared with PepsiCo's 10 percent, doesn't seem to think bottled water will ever overtake soda. In an emailed statement, the Atlanta-based company noted that soft drinks remain a far larger category than bottled water and that it sees "upside" for sodas over the next several years. However, the company added that it saw "great potential" for bottled water. Like its competitors, Coca-Cola said it's focusing on growing its portfolio of bottled waters profitably by offering brands such as Smartwater and its flavored Vitaminwater, which fetch higher prices. Water is so trendy now even Diddy has one. What happens when it goes out of style?